It is time to join forces once more with our favourite limbless friend, Rayman, for a whole new kind of side-scrolling adventure. 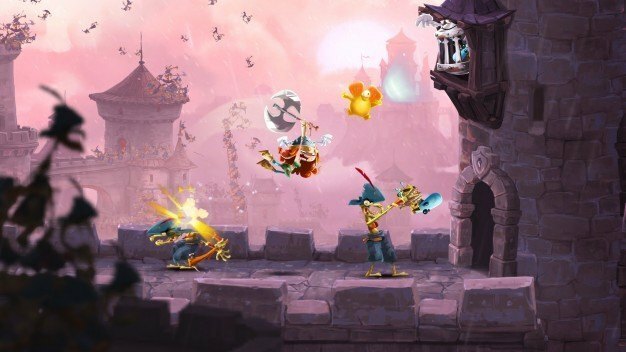 Today, Ubisoft Montpellier announced that Rayman Adventures, an interactive platformer built with mobile and non-traditional gaming systems in mind, is out now as a free download on the dedicated App store for all 4th generation Apple TVs. The game was also confirmed for release on mobile platforms and tablet systems, with this release (for both Apple and Android systems) being scheduled for the winter. Rayman Adventures is largely free-roaming, and has been designed to utilise the Siri Remote (a stripped-down touch-screen input device, which is controlled using just the thumb). Using simple swipes, Rayman can change direction/thwack mystical enemies/jump through the air, all while he automatically runs forwards. 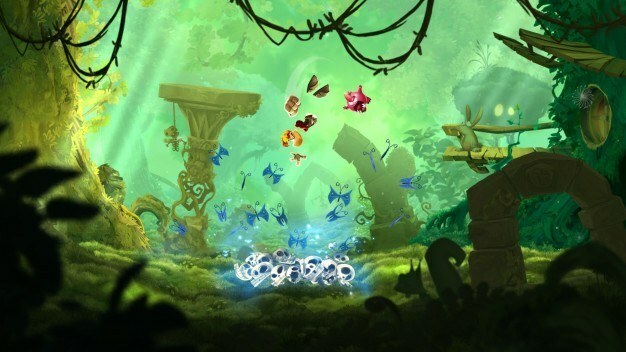 For those players who find the “automatic run” settings a little frustrating, the game can also be played with the Apple TV’s Gamepad; when this is connected, Rayman will instead run on command. The game attempts to combine the best of mobile/casual gaming with the classic platforming which we all know and love. While the player explores a number of captivating locales, progressing through the levels, the goal is also to collect Incrediballs; these squawky little creatures were shamelessly spirited away, and Rayman is tasked with finding them. Doing so will bring their habitat, a magical tree, back to life. This mechanic is not unlike that previously adopted by the likes of Sonic Adventure, through their collectible Chaos: nurturing the Incrediballs should not only be a lot of fun, but will also create miniature fighting machines that Rayman can use to great effect later on in his journey. In addition to standard adventuring fare, Rayman Adventures also includes time attack courses and an innovative scoreboard function (through tracking the player’s progress in reviving the magical tree). As is par for the course with app-based gaming, updates have been promised for the Apple TV version; the later Android/iOS release will come jam-packed with new content, which will be available for the Apple TV version by automatic update. We’ve come to expect a certain level of visual finesse from Rayman releases, ever since the franchise’s triumphant return in 2011 with Rayman Origins. 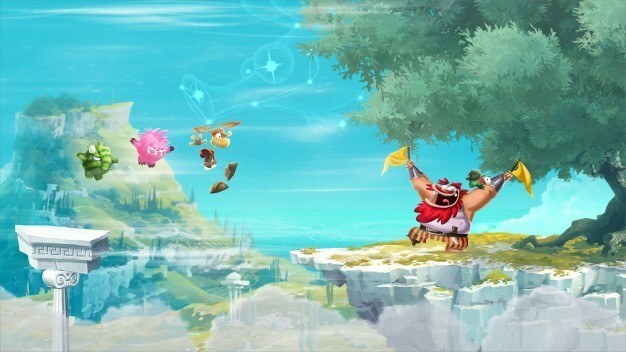 Rayman Adventures does not disappoint in this regard – it looks gorgeous. Furthermore, Rayman releases being stripped down to more movement-based inputs is not unusual; Rayman has had a prior “runner” style release for iOS, Android and Windows 8 devices (Rayman Fiesta Run, helmed by Ubisoft Casablanca), and also the Raving Rabbids series was tailored at the more casual gamer (with mixed success). It is quite possible that the game isn’t quite as all-purpose as Ubisoft Montpellier believes it to be, with older fans of the franchise perhaps being deterred by the addition of new gimmicks in lieu of the series going back to its roots. For example, your questing companion in Rayman Adventures is Barbara the Viking. I can’t be the only one who thinks Rayman should fight shoulder-to-shoulder with Betilla the Fairy in a future game. Furthermore, it remains to be seen whether paring Rayman down to a single-input game leaves it tiresome to control or overly simplistic. However, it is crystal clear through the approach he has taken to designing the game that the series creator, Michel Ancel, has been hard at work. The collectible element is a clear nod to collecting Electoons in the first game, something which seasoned fans may appreciate. Overall, it could shape up to be a valuable contribution to an already impressive and genre-defining series; to judge for yourself whether it is a continuation of Ubisoft Montpellier resurrecting the glory days of Rayman, download it for yourself off the App store now.